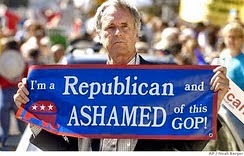 Hey Ma, ain't it wunderful the left de-funded the House Un-American Activities Committee (HUAC)- we wouldn't have these billions if the congress still had Oversight! Sitting inside a medium-security federal prison in Kentucky, Jeremy Hammond looks defiant and frustrated. Hammond is currently serving the remainder of a 10-year prison sentence in part for his role in one of the most high-profile cyberattacks of the early 21st century. His 2011 breach of Strategic Forecasting, Inc. (Stratfor) left tens of thousands of Americans vulnerable to identity theft and irrevocably damaged the Texas-based intelligence firm's global reputation. He was also indicted for his role in the June 2011 hack of an Arizona state law enforcement agency's computer servers. 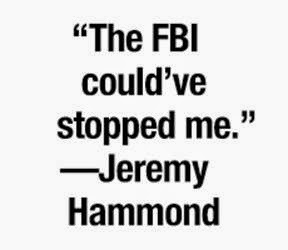 There's no question of his guilt: Hammond, 29, admittedly hacked into Stratfor’s network and exfiltrated an estimated 60,000 credit card numbers and associated data and millions of emails, information that was later shared with the whistleblower organization WikiLeaks and the hacker collective Anonymous. Sealed court documents obtained by the Daily Dot and Motherboard, however, reveal that the attack was instigated and orchestrated not by Hammond, but by an informant, with the full knowledge of the Federal Bureau of Investigation (FBI). In addition to directly facilitating the breach, the FBI left Stratfor and its customers—which included defense contractors, police chiefs, and National Security Agency employees—vulnerable to future attacks and fraud, and it requested knowledge of the data theft to be withheld from affected customers. This decision would ultimately allow for millions of dollars in damages. The documents also confirm the integral role of a shadowy hacker, operating under the handle “Hyrriiya,” who provided key access for the now-infamous attack. During his trial, Hammond claimed that the roles were actually reversed: It was Monsegur—released last week on time served—who first introduced him to an anonymous hacker, now known as Hyrriiya, who “supplied download links to the full credit card database as well as the initial vulnerability access point to Stratfor’s systems." “I had never even heard of Stratfor until Sabu brought it to my attention,” Hammond said. His statement echoed a May 2012 letter ostensibly written by Hyrriiya and provided to Hammond’s legal defense team. “I am stating and admitting, AS FACT, that I was the person who hacked Stratfor,” wrote Hyrriiya, a skilled hacker, who's known primarily for his involvement in hacks of Syrian government websites for Anonymous, two months after Hammond was charged. Previously, however, no public records have substantiated Hammond’s and Hyrriiya’s claims. The evidence on which the Daily Dot-Motherboard investigation is based was collected by Monsegur and his FBI monitors during his time as an informant from June 2011 to March 2012. The cache of court documents includes thousands of previously unseen chat logs, surveillance photos, and government documents, all currently sealed under a protective order upheld by a federal judge in the Southern District of New York. Hammond was not present during this initial conversation about Stratfor, which took place in an Internet Relay Chat (IRC) room called “#Revolusec.” After Hyrriiya provided Monsegur with the names of several Stratfor clients—Cisco, Monsanto, Microsoft, and Oracle—Monsegur, as Sabu, told Hyrriiya to contact him through private messaging. Monsegur first learns about the Stratfor breach from Hyrriiya on Dec. 4, in a chatroom called #RevoluSec.